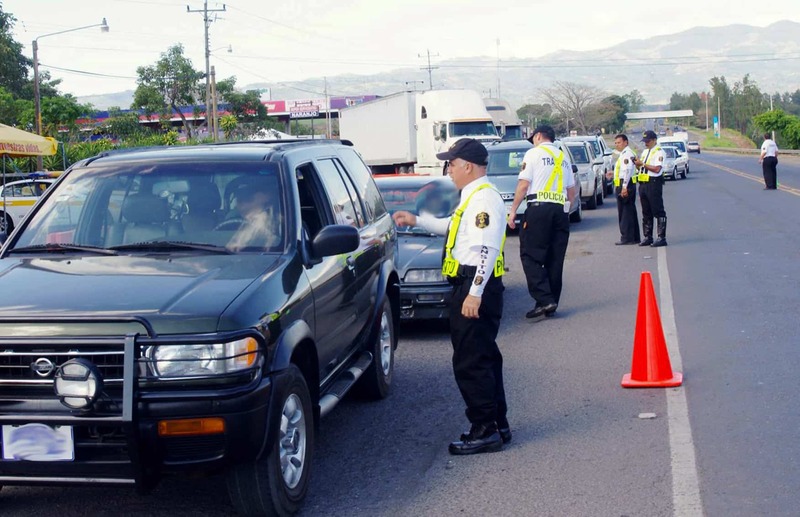 The Legislative Assembly approved a bill to amend Costa Rica’s Traffic Law, mostly to include new fines, in a second and final round of debate yesterday. One of the most important changes approved Tuesday evening is a ₡51,316 ($89) fine for parking offenses that Traffic Police officers will issue even if the driver is not present. That fine had been challenged before the Constitutional Chamber of the Supreme Court, forcing Traffic Police officers to wait for the driver to return before issuing a ticket. The approved legislation states that officers can issue the ticket to the owner of the vehicle using the license plate number. The fine will be bundled along with the mandatory circulation permit, or marchamo, that motorists pay every year. New fines of ₡306,850 ($533) will apply for drivers who refuse to take a breathalyzer test, and for owners of vehicles causing noise above the allowed decibel (dB) limit. The law lists a series of maximum noise limits, including 90 dB for cars, 92 dB for small cargo vehicles and small buses, 94 dB for buses, 96 dB for heavy-duty vehicles, 94 dB for motorcycles up to 250 cc and 96 dB for motorcycles over 250 cc. Vehicles whose emissions of polluting gases exceed the limits established in the technical vehicle inspection (Riteve) will also have to pay that same fine. Motorists caught without a driver’s license; without the appropriate category of license; with a temporary permit, but not accompanied by a licensed driver; or exceeding the permitted number of passengers will pay a fine of ₡103,679 ($180). The same fine applies to drivers of cargo vehicles that obstruct the road’s visibility, or that spill part of their cargo on the road, endangering other vehicles. Fines of ₡51,316 will apply for the more conventional offenses of as disrespecting a traffic signal or the orders from a Traffic Police officer. The same fine applies to taxi, bus or other public service drivers working outside their authorized areas or without a valid public transport permit. Traffic Police officials will confiscate the license plates of vehicles circulating without the mandatory circulation permits or insurance, obstructing public roads, sidewalks, pedestrian and bicycle lanes, or parked in unauthorized zones. The full list of new fines and offenses will take effect as soon as President Luis Guillermo Solís signs it into law and it is published in the official newspaper La Gaceta.